We stayed in May 2009 ( family of 4 - 2 adults, 2 children age 2 and 8). We stayed in the apartments, we were on the ground floor, the room was huge for 4 of us, kitchenette area invaluable ( nightmare when my lippy melts !). Makis was brilliant, nothing was ever too much trouble, the room was always spotless, Lucas and Christos behind the bar were brilliant too. We are back in August for two weeks this year and wouldn't dream of staying anywhere else. We have stayed at the Roseland and the Golden Sun before and although couldn't fault them, the Pelouzo's location, cleanliness, friendliness, food, cocktails are second to none ! Can't wait to see all the family again !! Visited in july 2009 but just got round to doing this ! i went b&b and me and my mum regret it soo much as the room was small, had to pay for fridge and air con. and the breakfast was not worth the money. If you stay at the pelouzo you MUST MUST MUST go see Lucas, Christos and Lucas' Mum (She don't speak english) she is a lovely woman. This is the best pool bar I have ever been to.....Very cheap on food and the booze well me and my 8 other friends had many a drink made by Lucas. Wicked and Bad. Oh if Lucas reads this.....I HOPE THE OPERATION WENT WELL. Read my friends review, Danni Searle. Simply the best holiday in a long time.....Well done guys and Thank you so much. stayed here in august 2008 and what a fab time we had. couldn't fault anything or anyone. everyone around the hotel was so friendly and everything was to a high standard. the snacks and drinks at the bar are great and are of a good price. nice bar and pool area and the rooms are large and spotlessly clean. hello to christos, lucas and the nightime receptionist man especially for putting up with us haha you all made our stay so enjoyable. hopefully we will be returining again sometime in august 2009. hope to see you all soon. I travelled with 8 friends both male and female all in our late twentys to this hotel on Self catering for 2 weeks from June 12th - the weather was amazing!!!! The BEST part of our stay at this hotel had to be the BAR - it was run by a man called LUCAS and his helper CHRIS We have never had so many laughs as we had with them, from 9am Chris was in the bar ready to take our breakfast orders - �5 for a full english and a cuppa, it was great food !!!! Everything was cooked fresh. They had a great selection of drinks to choose from and if you didnt know what you wanted Lucas would surprise you with a fantastic cocktail that would keep you coming back for more. Or you could try a "Cheeky Lucas" - apparently contains enough for 8 cocktail glasses and thats all you will need, i never tried one myself but ive had a few of Lucus's concoctions and im sure what ever he will make you will be on the floor. Lucas hosts a Greek night every Monday - for �12 you will get a huge BBQ dinner of chicken or pork with chips and salad, with home made meatballs and sausage - Greek dancers and flame throwers, me and the gang were always up dancing and i think we managed the "zorbas" dance quite well and became quiet profesional in it by the end of the holiday It was my friend Jill's birthday whilst on holiday and Lucas went to so much trouble in organising a cake and decorations for her - she really appreciated it - Thanks Lucas!!! Nightlife in Kalamaki is great fun with bars and restaurants the best resturant by far is the AMBROSIA on the Kalamaki strip, The manager is also called Chris and my husband and i met him last year and he remembered us straight away. The menu ranges from egg and chips to your more traditional greek dishes like Lamb Kleftiko - we all went there about 8 times for dinner during our stay, they make a magnificent home made bread that you are given free as a starter, all the staff there are real friendly and again would drag us up to dance we never had a bad meal there - i would personally reccommend the Lobster Spagetti or the Sea Bream - as there were 9 of us the bill was usually about �20 each and thats with a tip aswell - they do the best Milkshakes also No other restuarant compares to the Ambrosia - trust me you will try it once and will keep going back for more!!!! The hotel is about a 10 minute stroll to the beach - my tip would be to buy a lilo and a parasol (only about �7 as they do not have many on beach due to the protection of the turtles) the lilo is good to lay on as well as to spot the odd turtle (get a see through one for better vision) We were out on the lilos quiet far from the beach one afternoon between 4-6pm (best time to spot them) and if you are really lucky and lay still they will come up aroound you to take some air - its the most amazing sight i have ever seen. Just one more thing ........ GO AND SEE LUCAS AT THE PELOUZO HOTEL YOU WILL ALL BE WELCOME, you will see our crazy pictures up at the bar from the greek night - we were all dressed up in our T-shirts with pink caps on and make up (boys wore blue makeup) FANTASTIC EXPERIENCE!!!!!!! I am staying at the Pelouzo this year with a group of us after having a fantastic holiday last year where I stayed at the Venus Hotel. 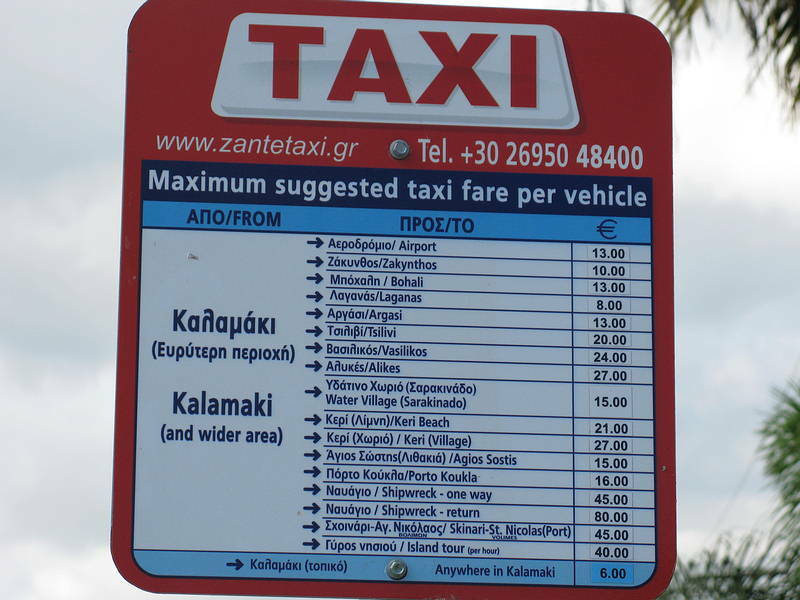 We went into laganas every nite and it cost us no more that �4 in a taxi, infact we barely went out in Kalamaki. You get the best of both worlds, great beach and restaurants in Kalamaki and just minutes away from the madness of the 'vegas' style strip of laganas. Cant wait to go back in July! Its right opposite the Amaryllis. 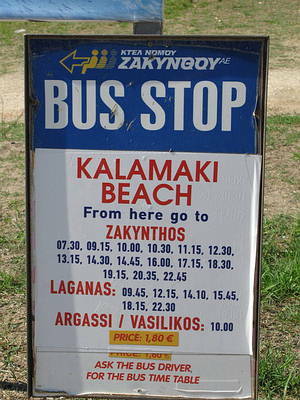 Just drop down to the left off the main Kalamaki to Laganas road heading almost out of Kalamaki and you'll find it. just arrived back from the pelouzo today, had a great time, very clean place. had a few complaints, passport was taken on arrival and had to ask for it on second night to cash money, had trouble getting it and then dicovered no passports were safe as they were not locked away. the 24hr reception was unmanned alot of the time causing problems! we had a spare bed in our hotel room and retured one night to discover the staf had been in our room without our permission and took the bed. we used the bed to keep our clothes on and they were all over the place with personal belongings in my hand luggage bag upside down. it was a huge let down and made me feel very uncomfortable. that said we are planning to return to the island in the near future!!! I think some of the comments about the men working here will put people off. Like Ashton said, she was bugged by one of them and he said he knew which room she was in, one of them watched me getting undressed through a tiny crack which reflected on the mirror and others have mentioned being watched by others.......it's quite upsetting to have it happen to you, especially if you are staying alone like Ashton was. We were also at the Pelouzo at the same time as you - we were the couple in Plus Soda on your last night with DJ Rich. The Pelouzo is fairly new so is in great condition. The location is excellent, as is the pool area and the rooms. HOWEVER, I agree with Ashton, some of them men at this hotel seem to have ruined some people's holidays. They also upset me one night. - one night (well, 2am) I was getting undressed and I saw a man outside looking into our room. The curtains were closed with a teeny gap reflecting onto the mirror. I was disgusted and just glad I had my back to the doors and still had most my clothes on. I believe it was someone who worked at the hotel and this in some way ruined the apartments for us. As Ashton has also said, there seems to be some men working there who think it is normal to look at the female guests, remember, some Greeks don't have the same values/morals as we do. We would probably stay at the Pelouzo again although would think about another hotel if it was a similar price. i stayed at the pelouzo hotel in september for a week i stayed there on my own as my parents had a different hotel. at first i thought it was great the staff were nice and it was clean. But i never got my passport back sraight away and when i did the man on night staff had told me he seen my passport and he knew what room i was in. i got worried as he did not leave me alone i told the morning staff but nothing was done. it is a shame because it is a nice hotel after that i feel my holiday was ruined as all i kept doing was avoiding him and my parents had to sneak me into my room at night..but i have read on just zante that he has a habit of this, so i would recommend to anyone who is staying here that you do not stay alone..
the resort kalamaki is a beautiful place if you do have a good look around but the weather let me down as it rained 6 days out of 7.. but i cant complain. We stayed a fortnight from 24/8/06 to 7/9/06 and thoroughly enjoyed it. The hotel is only 2 years old and is in an ideal location - 5 mins from the strip, 10 mins from the beach so is reasonably quiet. The only noise is from aircraft which land or take off just across the road - but we found this a novelty. The rooms are large & spotless being cleaned every day. Air conditioning is 6 euro per day, safety deposit boxes 1.5 euro per day (these are located behind reception). Cooking facilities are limited, but there is a good supermaket (Gregory's) just across the road. We found the staff friendly and helpful. The pool is large & very clean with plenty of sunloungers. There is an excellant snack bar which also serves up ice cold beer! There is no evening entertainment, but you are not far from the strip. We would definitely go back to this hotel. My wife and I stayed at the Pelouzo last year early September. We have been going to Zante for about 10 years and stay in Kalamaki - we had not heard or seen the Pelouzo before. What a great suprise when we got there. Brand new and with air conditioning. The staff where great an the Pool Bar was always open when we got back for a night cap late at night. The new Pool is lovely and never to crowded. We had breakfast every morning which is the normal continental. We would recommend to any one.